December 2017 was my tenth Christmas season working for Pragmatic Works. 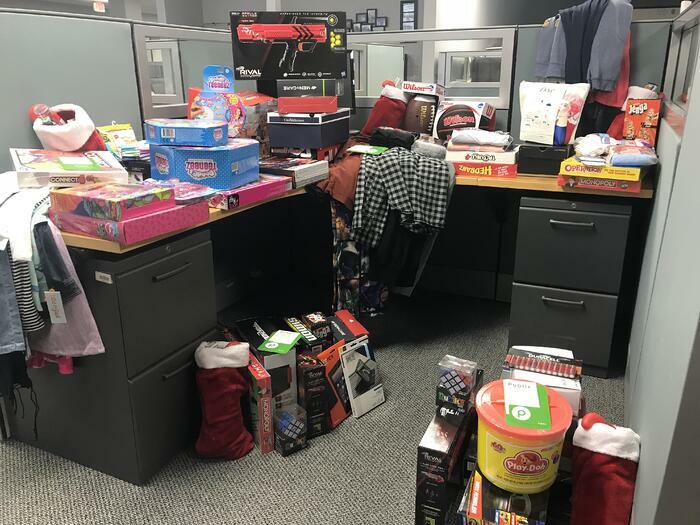 Every year, I organize our Holiday Gift Drive, which entails raising money for a family or organization that could use help with Christmas gifts for their children. This project has always been the highlight of my year, showcasing our company's values of giving back to the community. In past years, we’ve sent gifts to the kids at Seamark Ranch and have sponsored families through local churches and the United Way. This year, before I started collecting money and donations, I knew in my heart that the employees of Pragmatic Works would not disappoint, so I decided to sponsor not one, but four families. Not surprisingly, our generous team exceeded my expectations. In total, we raised more than $2,200! It took three of us to shop for clothes, shoes, jackets, gift cards, toys and toiletries. We even had enough money left over to give each family a generous gift card to their local grocery store. Every year, I am so humbled and proud to work for a company with employees that are always giving and generous—2017 was no exception. I can’t wait to start planning ways for our company to give back to the community in 2018!